再用iris 開已經係全紅, 點解會係全張tif 在iris下 都係紅色的呢? 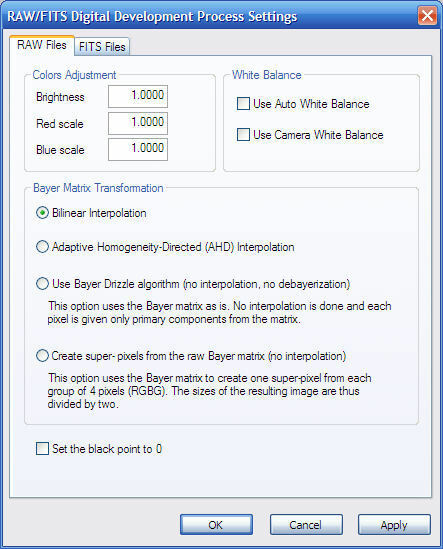 When this option is enabled DeepSkyStacker attempts to align the three channels to reduce the color shift between the channels on the resulting image. The main visible effect is that the stars are not anymore red on one side and blue on the other side. Each channel is registered (the stars are detected) and a transformation is computed between the best channel and the two others. The transformation is then applied to the two channels which is aligning them on the best channel. littleming 寫: 想請教一下大家, 點樣可以在用DSS 時避免出現如附圖內的水波紋呢? 再用埋iris 校 gradient removal 及 threshold 後現得更勁.